Possibility to spend the night at Tel Aviv - Ben Gurion airport (TLV), if open 24 hours. Services available, places to rest (free resting zones), or look for the list of nearby hotels and vip lounges..
Tel Aviv airport is a big and busy place, so it is difficult to find resting spots, and there is also a lot of noise and bright lights. Get some earplugs and a sleeping mask, and have your ticket ready, as the security staff may ask to see it to let you stay inside the enclosure. Where to rest: Most seats in the airport have armrests, but you can find some comfortable couches in the Departures area, next to the food court. There are a couple of VIP lounges inside Terminal 3, one of which is open 24 hours a day, although the maximum stay is 2 hours. 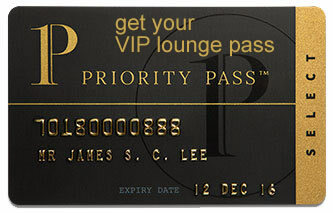 SEE VIP LOUNGES As for hotels, the closest are found in the city centre. Baggage: The left luggage service is not available during the night. This means you will have to keep your bags with you until checking-in. Eating and drinking: There are several options throughout the terminals, but none of them are open during the night, except for some vending machines. Other services available around the clock: ATMs, currency exchange bureaus, synagogues, baby changing room. The closest accommodations are found inside the city. Avia Hotel (Tel +972 3910 9104), Kfar Maccabiah Hotel & Suites (Tel +972 3671 5715), Sadot Hotel (Tel +972 8919 9100), Star Guest House (Tel +972 502 526 278), Apropo Hotel (Tel +972 3535 2724), Nahalat Yehuda Residence (Tel +972 547 557 793), Hotel La Guardia (Tel +972 775 324 813), Overstay Hostel Tel Aviv (Tel +972 534 210 200), Ruth Daniel Residence Hotel (Tel +972 3526 4526), Florentin House Hostel (Tel +972 3616 4449).